Sheree Mitchell is a global citizen and entrepreneur who went from planning study abroad tours in her twenties to becoming President and Founder of Immersa Global, a boutique tour operator that provides unique tailor-made travel experiences to Portugal, Costa Rica, and Israel. 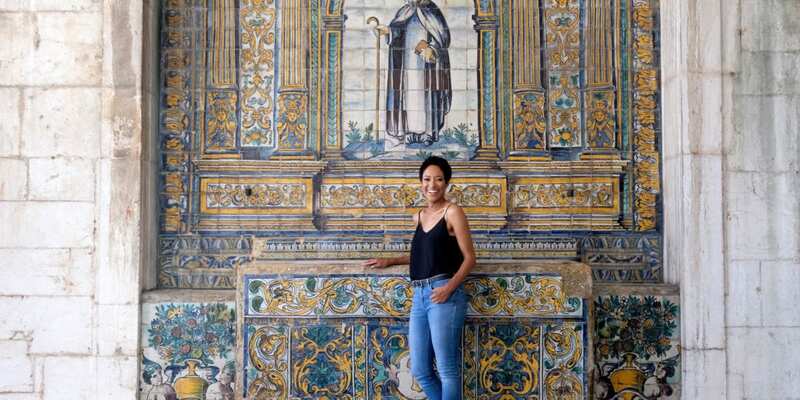 Unearth Women spoke with Mitchell via a long-distance WhatsApp call to find out what gaps her company fills in the industry, what trends she’s seeing with travelers of color, and why she feels Portugal is the most culturally sensitive country she’s visited. Unearth Women (UW): For those unfamilair wih your company, what is the mission of Immersa Global? 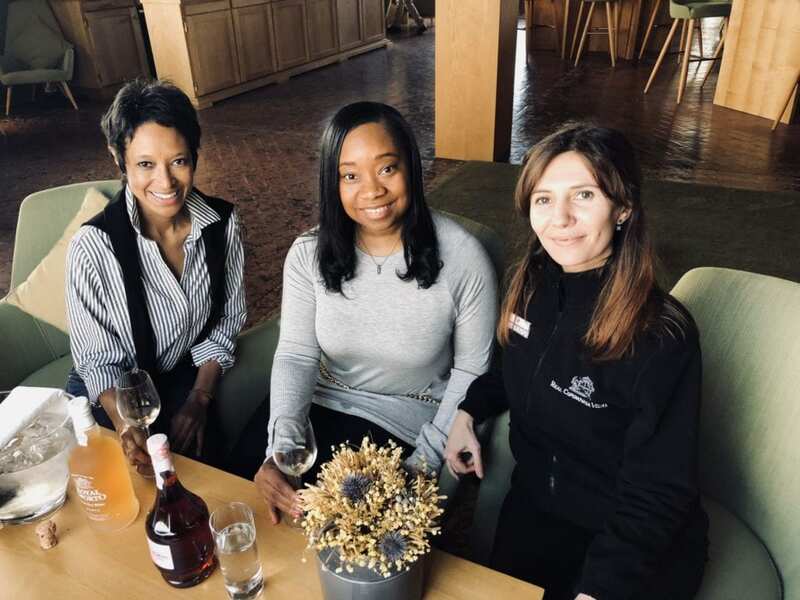 Sheree Miranda Mitchell (SMM): We use travel as a platform to connect our guest with well-accomplished locals in the destination which gives us access to very exclusive behind-the-scenes experiences that are normally not available to tourists. UW: You went from being a study abroad trip-curator to a Spanish teacher to a plastic surgery center director before you began traveling full-time and founded Immersa Global. How have your experiences as a traveler influenced your business model? SMM: I’ve always tried to get off the beaten path and really connect with the people and places in countries that I visited, but I found that it wasn’t always easy if you didn’t have good local contacts. Luckily for me, I’ve always had a nice group of international friends who’ve connected me with interesting people when I’ve traveled. 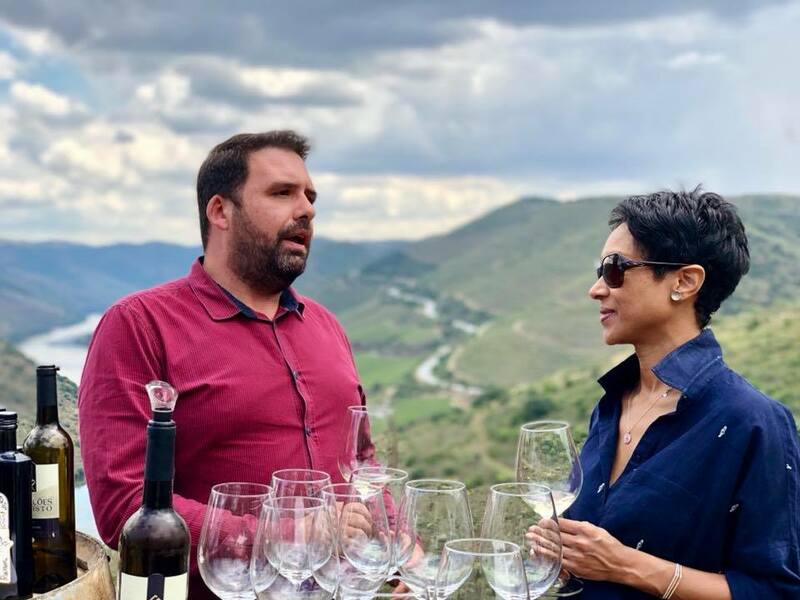 Can you imagine what it’s like spending the weekend with winemakers on their vineyard in Stellenbosch as they introduce you to the local grape varieties over a braai lunch? Or, going to a local market with a family in Costa Rica as they introduced you to fruits and vegetables that you’ve never seen before? When I designed Immersa Global, the idea was to provide our guests with the opportunity to have these types of experiences. You can think of it as spending a week with a best friend from college who now lives in another country. UW: In what ways does your company fill a gap in the travel industry? SMM: Discerning tourists nowadays want quality, authenticity, comfort, exclusivity, and the ability to connect with the destination as well as the brand. On top of all of this, they demand that it’s all affordable. Many of the larger high-end and luxury tour operators are able to satisfy most of the requirements. Where they fall short is on creating a high quality product at a reasonable price and creating a brand that’s easy to connect with. Those were the two areas that I decided to focus on to differentiate Immersa Global from its competitors. So we consider ourselves a boutique tour operator that offers high-quality tailor-made products at a price point that’s comparable to its pre-fabricated counterpart. UW: What are some specific considerations you give to people of color in your tour curations? SMM: When I design a program, I’m already working with suppliers, local experts and destinations that I’ve vetted personally, as a woman of color. So I see that as a built-in filter that comes with the territory. When I curate travel for other groups (minorities or not), I take extra care that they’ll feel welcome and honored at all times. If there’s any hesitation with a new destination or local supplier, I err on the side of caution. No exceptions. Our promise to our guests is to give them an exclusive once-in-a-lifetime local experience so there’s no room for anything less. UW: What challenges have you faced being a female entrepreneur living abroad? SMM: There are inherent challenges to anyone moving to a different country and running a business. However, I can acknowledge that there are some challenges that are gender-specific, which tend to be more prevalent with my interactions with older, conservative men. One question I get often when prospecting local suppliers is if my “husband” is involved in the business, or if my “husband” approve of me traveling so much for work. I usually respond by smiling and saying that, “It’s just me. No husband, no children, just me…the one who created, launched and solely-funded the business since the beginning.” That usually does the trick. UW: You’ve said that one of the reasons you live and work in Portugal is for the comfort that you feel there. What do you attribute to Portugal’s cultural sensitivity? SMM: The Portuguese are kind and respectful towards other human beings, regardless of their nationality, religion or ethnicity. As a woman, I really appreciate the fact that you can walk around freely without getting unwanted male attention, but most importantly, people don’t stare or looked “disturbed” when they see a person of color. That was the selling point for me. 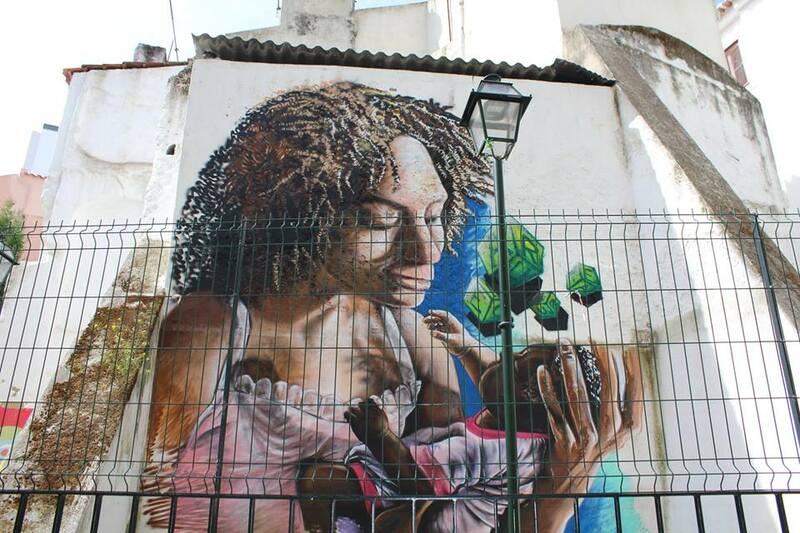 As you walk around Lisbon, you see such an array of ethnicities and cultures. There’s a lot of people living here who are directly from, or descendants of people from former Portuguese colonies in African, Asian or South American. My US home is Miami, which I’ve always thought was really diverse. The difference here is that it feels less segregated, there’s much more intermingling. If you were to ask the Portuguese what their cultural sensitivity is attributed to, they’d probably link it with their “discoveries” during the 15th and 16th centuries. The Portuguese, unlike some of their other Europeans counterparts, tended to immerse themselves in the cultures of the territories that they colonized. That doesn’t minimize the atrocities of colonization, but it does give some insight into the Portuguese approach to engaging with other cultures. I also think their cultural sensitivity has a lot to do with Portugal having such a high emigration rate for so many years. This cultural agility is just as present in the homeland as it is in the diaspora. UW: What trends are you seeing in the travel industry? SMM: Oh there’s so much going on in the travel industry right now! The overall trend that I’m seeing is how people are using travel as a vehicle to enrich their lives. We’re seeing more and more what I call the “Eat, Pray, Love” experiences where women and men are putting their lives back home on pause to rediscover and redefine themselves through extended travel. A new industry term is “transformative travel”, which couldn’t be better suited to describe this phenomenon. There’s also a huge increase in people of color travel, both in groups as well as solo travel. Social media has been a huge catalyst for this. Thanks to platforms like Facebook and Instagram, we’re now able to follow, in real-time, other people’s adventures to places we would have only dreamed of before. This type of visibility is especially important for the aspiring female of color traveler. When they’re able to see other women who look like them, visiting and enjoying non-conventional destinations, and it empowers them to do the same. UW: We’ve talked about race, but what factor does age play in solo travel? Has it influenced your own travels as you visited 40 countries by age 40? SMM: I’ve always believed that everything happens at the right “time” and not necessarily in a linear fashion. The 40 countries before age 40 was simply a goal that I set for myself in my mid-30s. I needed something to keep me going as I was mustering up the courage to take a huge leap of faith. At that time I didn’t know anyone else who’d put their life on hold to galavant around the world, alone, without a plan. I’d always dreamt of it, but it wasn’t until my 30s that I had the courage to actually do it. I don’t really think that age itself has influenced my travels as much as previous experiences abroad have, which, of course, are not age-specific. I’m fortunate to have had the opportunity to spend a lot of time outside of the US when I was younger. By my late teens, I was already spending two months a year abroad (I studied Spanish in Costa Rica every summer.) By my 20s, living with host families in different countries for months at a time each year was normal for me. It was like my brain learned how to toggled between currencies and measurement systems just as it did with languages and cultural differences. So by the time I did the 40 before 40, I was so comfortable with the mechanics of travel that I was able to really just enjoy connecting with the people and the destinations. UW: How would you say your tours empower women in particular? SMM: When I’m helping a client design their trips, I encourage them to dream big and include as many “always-wanted-to-try-that” experiences as possible. This usually opens the door to conversations that go far beyond travel. I learn about their lives, what’s working and what’s not, what they’ve outgrown and what they wish they had the courage to do. Since I too have been in that space, it’s easy for me to listen and share my own experiences, which I think in turn builds trust. By the time these guests travel with us, they feel supported to push themselves beyond their comfort zones. UW: What’s your advice for women interested in entrepreneurship? 1. Make sure that you are completely in love with your product or service and that you’re 100% confident in your ability to launch before you take the leap. 2. Seek to connect with and learn from established thought leaders in your industry. 4. Grow a thick skin and don’t give any airtime to the “peanut gallery”. You’ll find that not everyone will be supportive of your project – some out of fear of the unknown and others due to their own deeply seeded insecurity and jealousy. (Sadly this is common amongst women.) Don’t waste time trying to get anyone on board with your idea. When they give you their unsolicited advice, smile, say, “thank you” and change the subject. You’re entitled. 5. Learn to nurture and protect your project as if it were your child. Within the first few years, it will need as much attention and care as possible.